BE/ B.Tech, ME/ M.Tech (CSE, IS/IT, EEE, ECE),MCA, BCA, B.Sc/ M.Sc (CSE/ IT) from 2017/ 2018 batches. 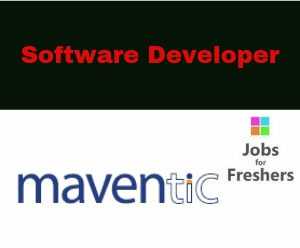 Maventic is an SAP services company which provides its state of the art solutions and services to customers in multiple countries which include India, European countries (like Germany, Switzerland, Belgium, Romania…),Singapore, UAE, and Saudi Arabia. It works with several top manufacturing, retail and professional services organizations across the world. Our Products include Massetic suite of solutions( www.massetic.com),Distribution Management System, Service Portal, and mDew ( warehouse applications). Architected and designed by Industry veterans, the solutions are used by multiple Industries across the globe.